Ear Lobe Surgery is performed to correct abnormal shaped, split, too large, protruding ear lobes. 1. Torn or split ear lobes from wearing ear rings, are repaired to normal appearance, then after 2 weeks re-pierced for earrings. 2. Protruding ear lobes, of normal size and shape can easily be repositioned closer to the head with a small operation behind the lobe. 3. Too large or ear lobes reduced in height and width as an easy procedure, incision lines not seen. 4. 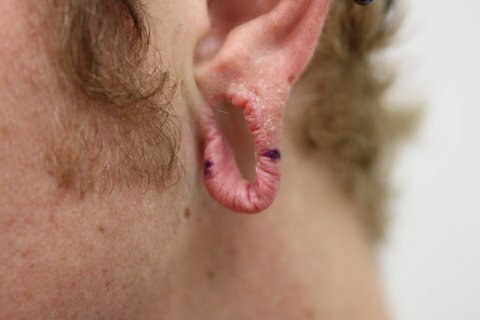 Deformed, absent ear lobes can be reconstructed. 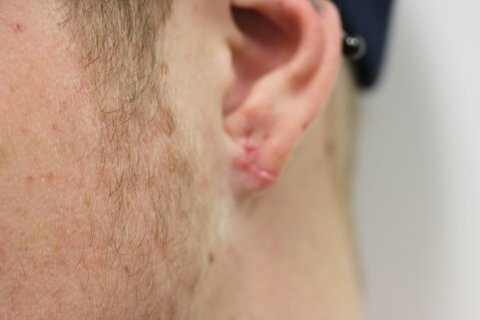 Ear Lobe Surgery is performed to correct damage to the ear lobe. Post surgery the appearance of the Ear Lobes is normalised, allowing for a greater feeling of self-confidence.